A wide range of organisations provide child welfare and youth support services. Many of these services are free and are provided by not for profit organisations. We are based in Dunedin & have been providing quality social work services to vulnerable Otago children & their families for over 40 years. . . . Supporting Whanau social, health & early childhood education & development needs. All ages. 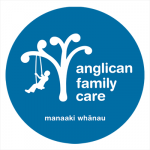 Support for (young) pregnant mothers, Tamariki Ora . . .